Following a nice, memorable, and peaceful service we invite you into the reception room to enjoy a wide variety of catered food. From hot & cold foods to just coffee & tea let Squamish Funeral Chapel and their staff cater to your family as you reconnect with your relatives and friends. 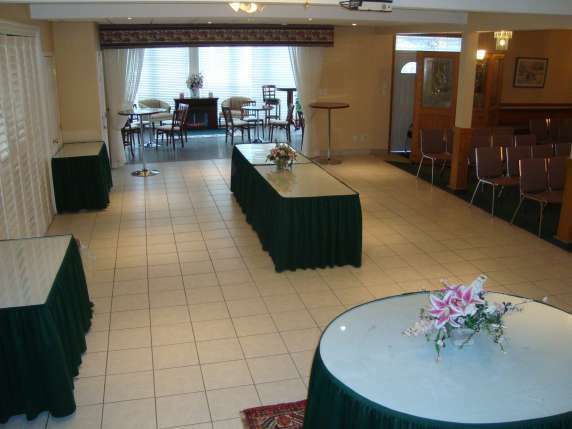 With plenty of high top tables and walking room the reception room has a beautiful newly renovated kitchen that is state of the art. 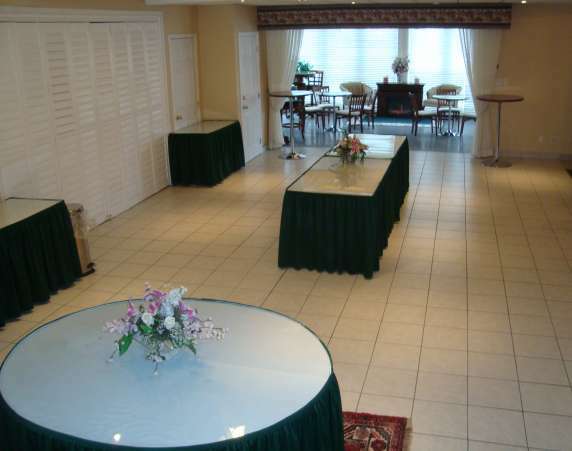 It includes a commercial fridge, dishwasher, a moveable freezer, and everything to cater to the funeral reception.